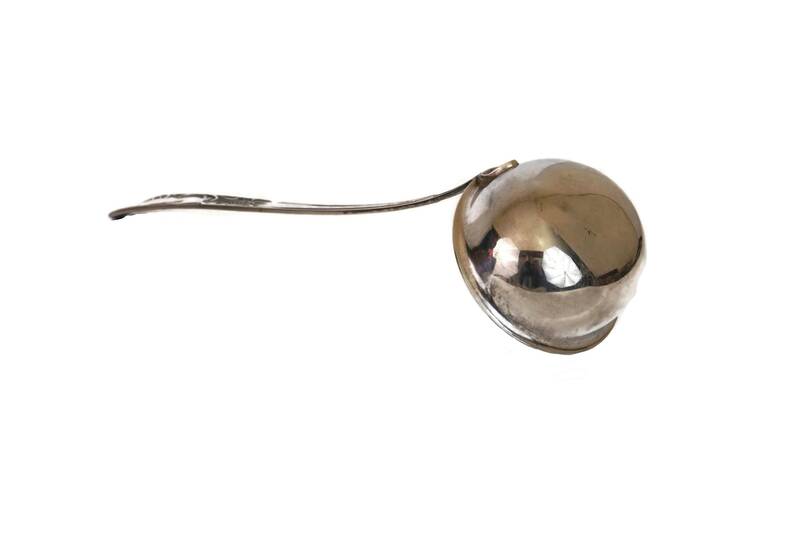 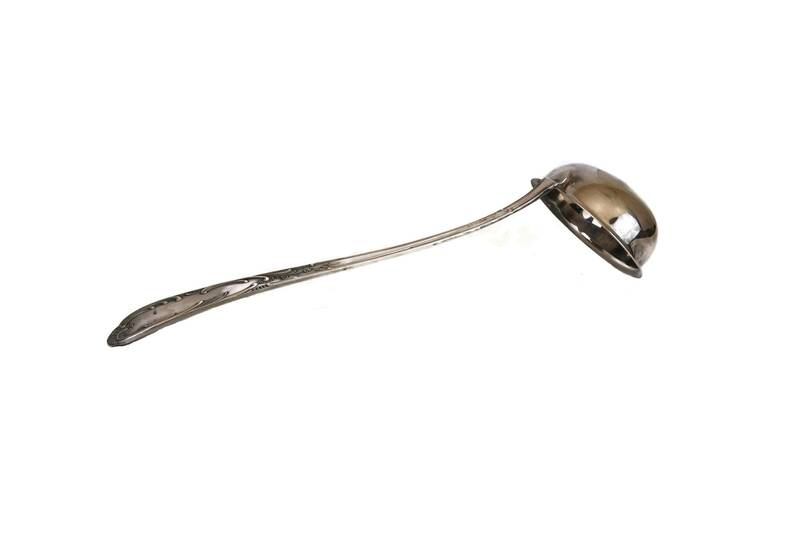 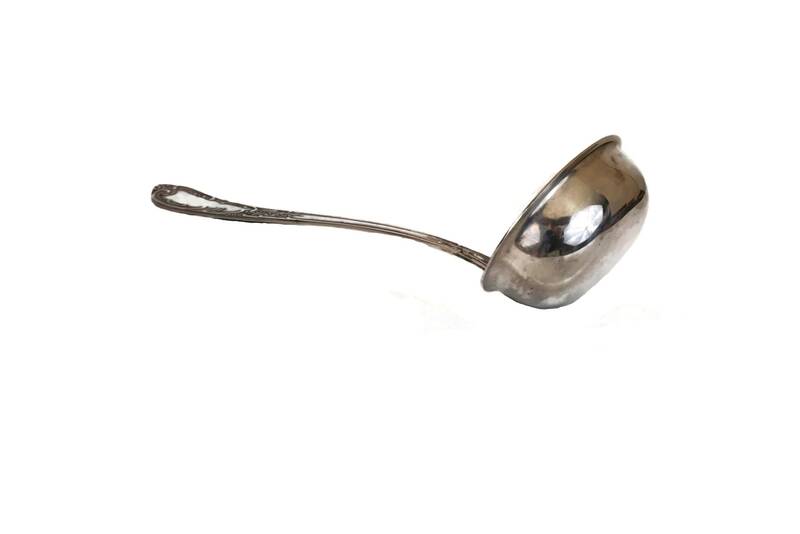 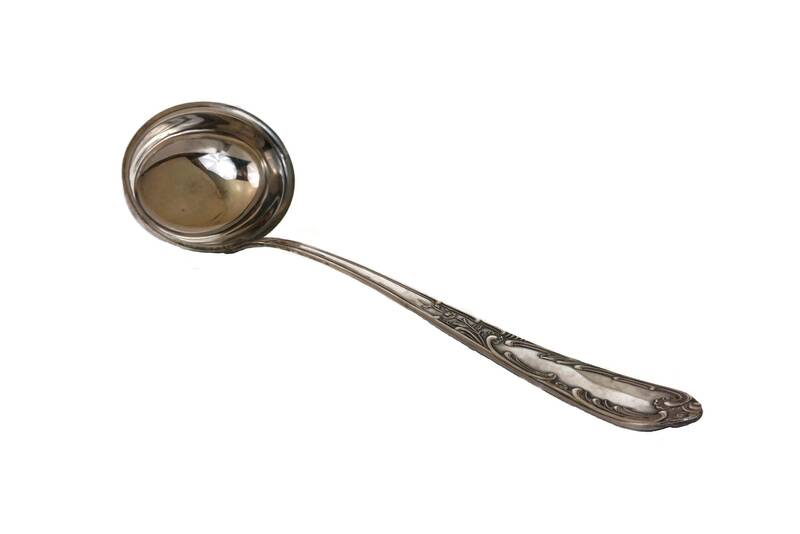 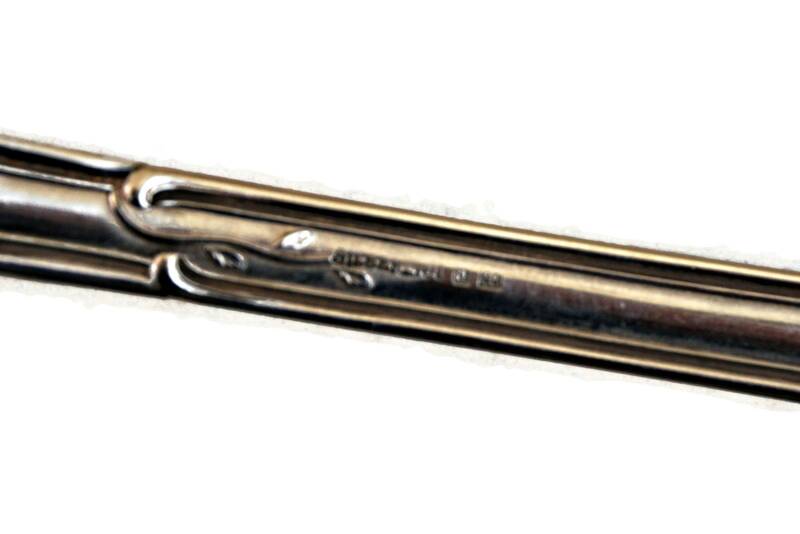 An elegant antique German silver plated soup ladle dating from the early 1900s. 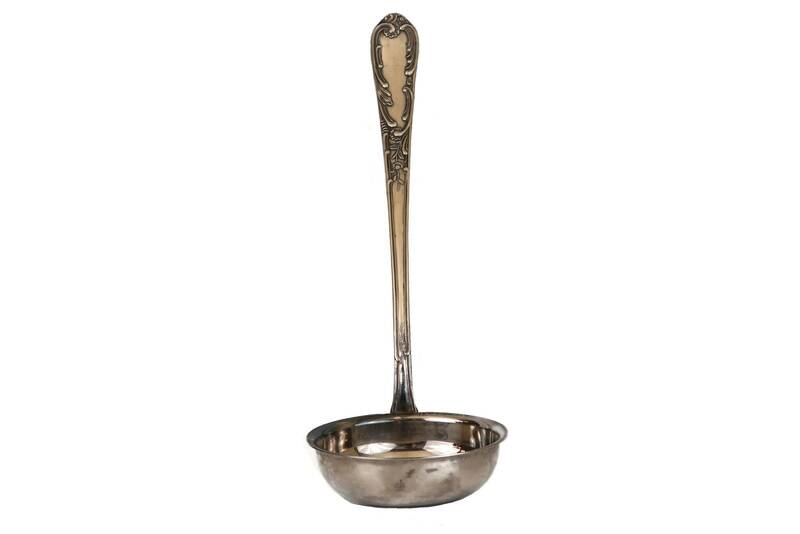 It has a large oval shaped bowl for serving soup and sauces. 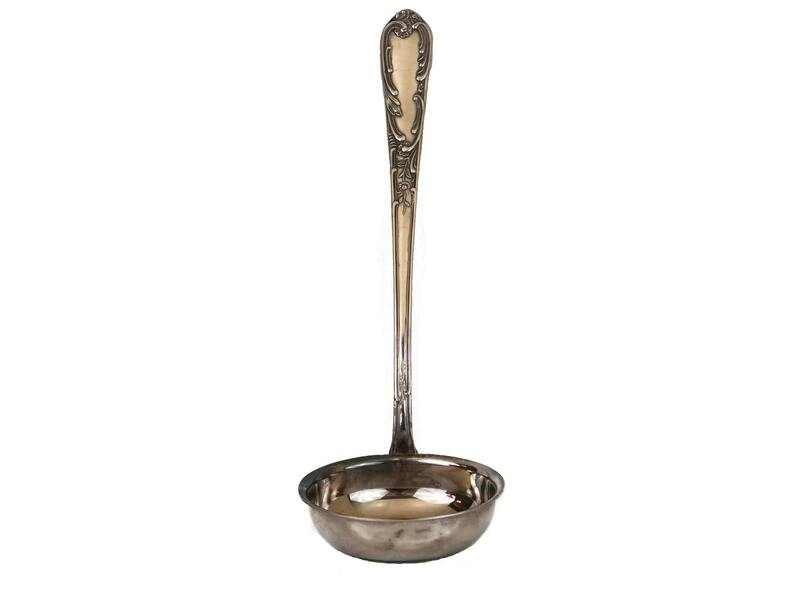 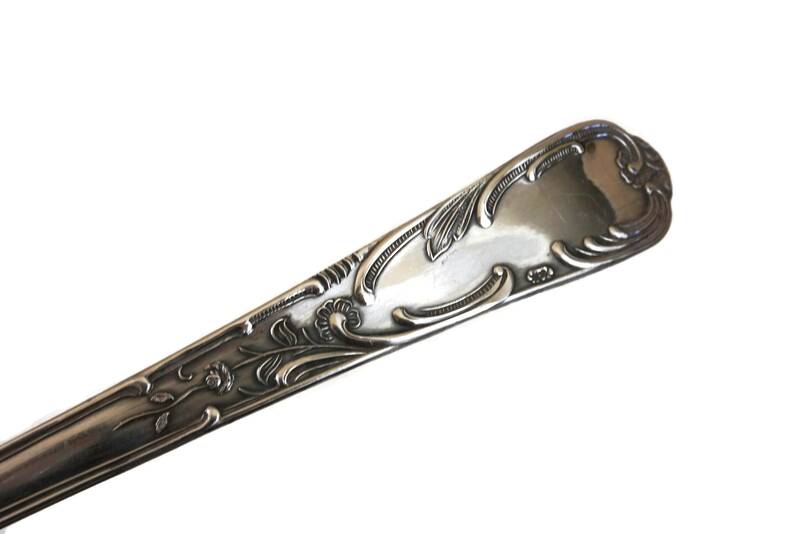 The serving utensil has been made from silver plated metal and features an ornately decorated handle with flower and arabesque patterns. 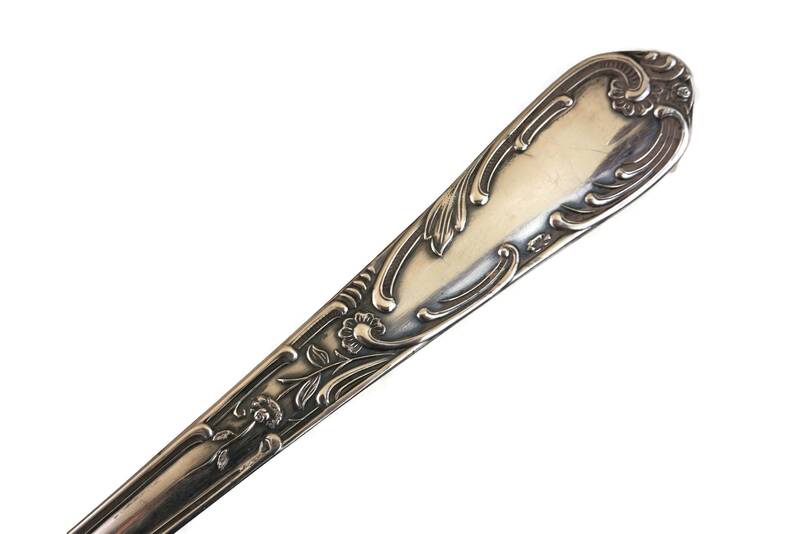 The underside of the handle has been stamped with the German maker's mark. 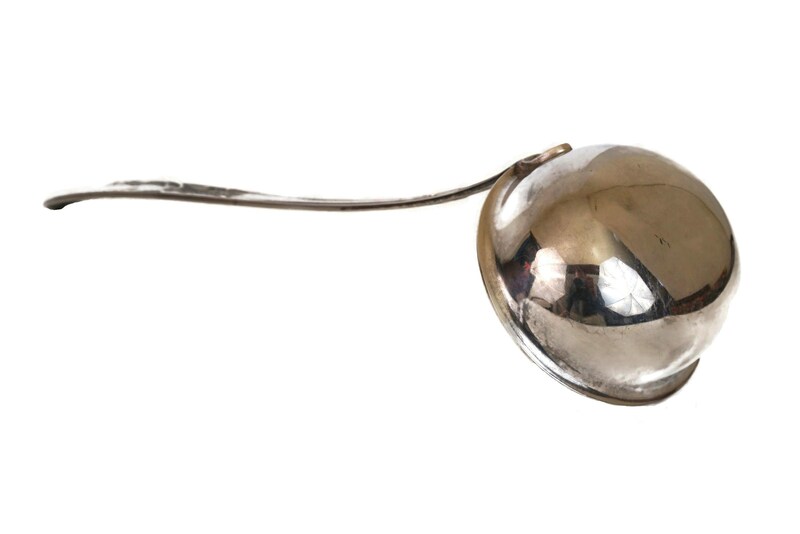 12.5" Long x 4" Diameter for the bowl (32 cm x 10 cm).